The meteorite was first discovered in 1984 by geologists riding snowmobiles through the Allan Hills region of Antarctica. 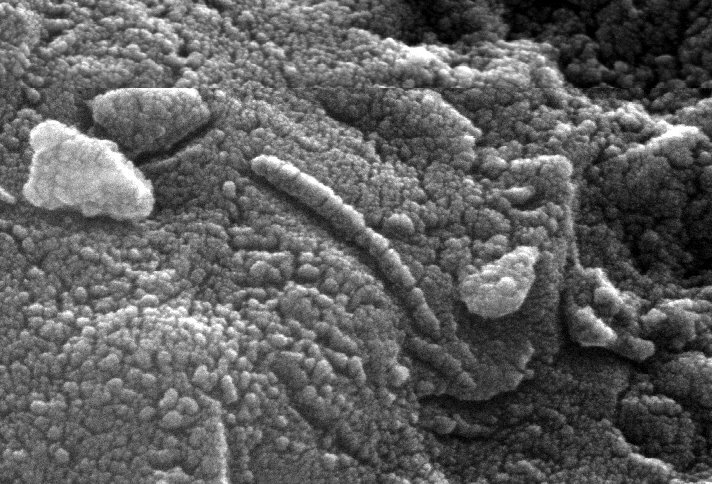 Scientists think ALH 84001 originally formed 4 billion years ago on Mars and landed on Earth about 13,000 years ago. "On Aug. 7, 1996, . . . Researchers Announced That a Craggy Lump of Rock Teemed With Evidence of Ancient Martian Life"